Saturday evenings record-breaking victory over the Crusaders stands as an embodiment of the challenges the Waratahs have faced since their 2014 Championship season. The team is as Dr Jekyll and Mr Hyde as they come, frequently playing up or down to the level of their opponents. Overall, Saturday’s win, which ended the Crusaders record 19-game unbeaten run, was a massive coup for a team that has been struggling to find form in 2019. Despite the Crusaders not necessarily looking themselves, and the Waratahs still having issues with the ball in hand, this is a big achievement. Many aspects of the Waratahs game looked as good as they ever have, most notably, defence and kicking. However, it would be irresponsible for fans to believe they have turned a corner just yet, with many of the ongoing issues plaguing their attack continuing throughout this contest. The Waratahs defence looked as good as it has in a very long time. With only 43 per cent of possession, the Waratahs had to muscle up and make 178 tackles (their average tackles per game this season is 132.25, a 37 per cent increase) and they did so only missing 22 attempts and consistently denying the Crusaders the gainline. This is a welcome development for the Waratahs as a solid defence is imperative to consistent winning rugby, and it showed on Saturday. Even when the attack wasn’t working, if you know you can trust your defence you can play with greater confidence and a more varied strategy. The Waratahs were able to utilise their similarly much-improved kicking game to pin the Crusaders back and trust their defence would hold strong. This season they have averaged 19 kicks per game for 557 metres (including Saturday’s game). On Saturday, they kicked 29 times for 877 meters, compared to the Crusaders 23 kicks for 511 metres. This is how the Waratahs were able win the territory battle 64 per cent to 36 per cent, despite having very little possession. Kicking is often seen as a negative aspect of the game, and often times it’s used as an emergency option when players and teams run out of ideas. When used ineffectively, kicking hands possession to the opposition in a position of advantage. However, when executed right, a strong kicking game is undeniably valuable and often leads to winning rugby. As we saw in this year’s Six Nations, both England and Wales were most comfortable playing deep in their opponents’ territory through a smart and accurate kicking game, and trusting their defence will apply enough pressure to proffer opportunities. 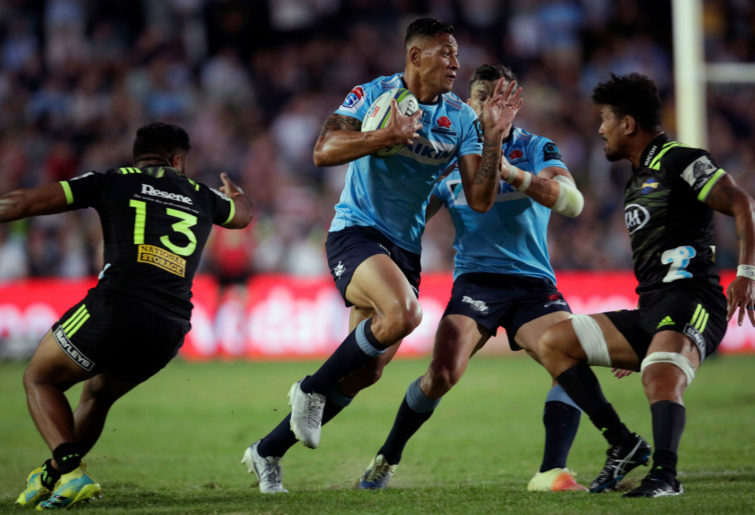 For the most part, the Waratahs got this right against the Crusaders, forcing them deep into the corners or putting up contestable attacking kicks with a strong chase, defusing counter-attacking opportunities. What makes a kicking game even more of a weapon is a strong lineout, knowing you can put your opponent under pressure in their own territory and knowing possession can be secured when the ball is kicked back to you. The Waratahs lineout with Damien Fitzpatrick has been incredibly solid this year, and while there are question marks about the throwing of Tolu Latu, Rob Simmons, Ned Hannigan and Fitzpatrick running the show means the Waratahs seldom lose their own throws, and won all 20 on Saturday, as well as being able to be disruptive on defence, winning two of the Crusaders throws. The scrum was also vastly improved, winning all eight of their own feeds, and young prop Harry Johnson-Holmes is rapidly developing into a very good super rugby player. However, to claim this team is a title contender after this victory would be getting ahead of ourselves. Having a strong defence, a good kicking game and a solid set piece is an excellent foundation for a team and can mask a lot of other issues, and there are a lot of other issues. 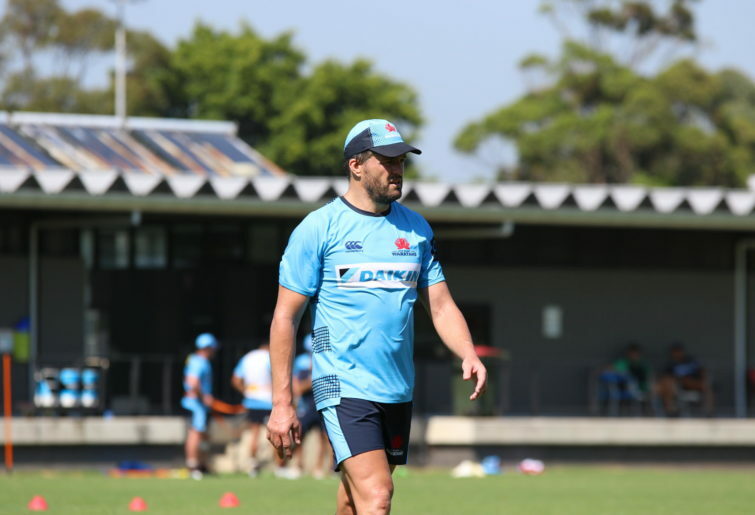 The Waratahs want to play a wide, expansive game. That much is obvious and understandable. The team is stacked with talent in the backline, and the team has won playing that way before. The difference this time is teams are rushing up on the first and second receivers and putting them under extreme pressure. Often rather than taking the tackle, Bernard Foley or Kurtley Beale will force a rushed pass out wide, more likely than not going to ground and dribbling behind the intended receiver. By the time he can recover the ball, he is now under defensive pressure, yet another ten meters behind the gain line. In one phase, the Waratahs have lost 15-20 meters. Often, we hear commentators say you have to earn the right to attack wide, which is an oversimplification, however, it has some merit. 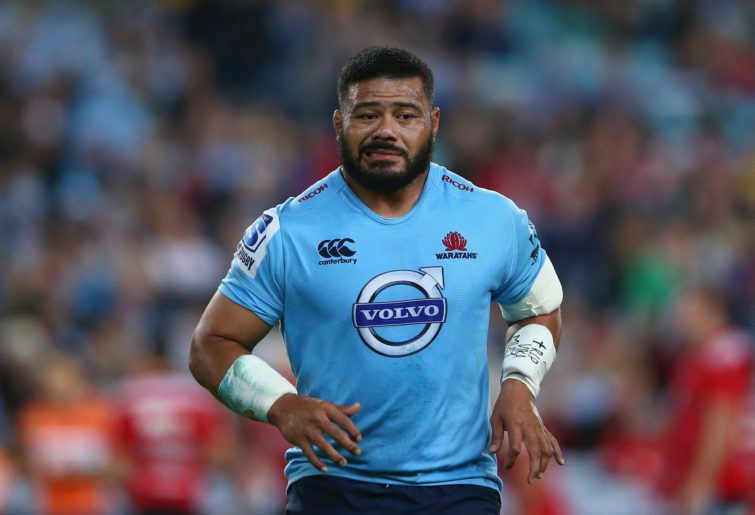 This season the Waratahs have been unable to generate consistent gain line success with the forwards. Too often forwards are stationary when they receive the ball and conceded two or three meters each phase. Rarely do Waratah forwards run off of the first receiver (a staple of the 2014 team). This one dimensional and passive approach invites a very aggressive rushing defensive strategy from opponents and allows them to put huge pressure on the playmakers. The space out wide is there, but the Waratahs have been unable to give players possession in advantageous positions because of the defensive pressure. The forwards need to be a threat with the ball in tight and in the 10/12 channel to demand the respect of the defence. If the defence can no longer rush Foley, he will have a chance to get the ball to Israel Folau, Adam Ashley-Cooper and Alex Newsome with time and space to move. Gone are the days of Jacques Potgieter, Will Skelton, Kane Douglas, Tatafu Polota-Nau and Sekope Kepu barrelling over opposition forwards with Michael Hooper and Stephen Hoiles eating metres in the centres. The team needs Jed Holloway, Jack Dempsey and Hannigan (and a mini-revival from Kepu) to step up in this area. When you examine where the Waratahs had success scoring against the Crusaders, it becomes obvious how limited their attack is. The first of the Waratahs tries came on the second phase after a scrum. After a relatively rudimentary first phase attack was shut down, Jed Holloway came charging around the corner to receive the pass at the line, giving the Crusaders defenders no chance to dictate the contact area, he slipped two tackles and scored. The second try was scored on first phase ball, coming from a lineout. Foley put up a perfectly placed mid-field bomb which Folau collected before offloading to Cam Clarke for a run to the corner. The third try also came off of first phase play, another line out, this time a very successful driving maul, winning advantage which allowed Gordon to unleash a backline attack. Again Foley put a perfectly weighted bomb in the air, coming down on the tryline for Newsome and Folau to chase. Newsome made it a contest and Folau was able to reap the rewards with his 59th and record equally try. The point here is that outside of these highly structured and organised attacks off of a strong set piece, the Waratahs really struggled to create opportunities. This isn’t an insignificant issue as the vast majority of possession comes in general play and not off set pieces. Additionally, decision making has been and was poor on Saturday night. Akin to Foley and Beale forcing poor passes to wide attackers, too often the Waratahs will force an offload or pass to a player in worse position. Sometimes, you need to take the tackle and let your support secure possession and go again. Too often the Waratahs make a break and we see one offload, then another, then a knock on. We also see players being driven back in a tackle, throwing the ball away, seemingly afraid to take it to ground, putting the supporting players, who are preparing to compete at the ruck, not catch a ball, under immense pressure to recover possession. And finally, far too often we see an attack down the wing end in a pass into touch. Folau seems to be a major culprit of this. It leaves fans asking questions, who was he passing to? Why was he passing, what could the receiver have done there other than get tackled into touch? Why the team has such an aversion of consolidating possession after making 25 metres is beyond me. Worryingly this is a trend that is strongly born out in the statistics. This year the Waratahs are 13th (out of 15) in points scored per game with 22.2. The team is fifth in run meters per game with 650, however, 14th in advantage line percentage at only 57.6 per cent, suggesting they spend as much time making up metres lost while in possession than it does actually going forward, and rarely is all this work rewarded with points. They sit fourth in handling errors (11.2 per game) and sixth in Turnovers (15 per game). This also supports the eye test, the Waratahs have the ability to play the game but too often it ends in error. Much of the Waratahs woes stems from poor decision making. Should they tighten this up, get slightly more creative with respect to their forward attacking strategy, given the defence and kicking was no fluke (although Nick Phipps needs to be removed from the kicking rotation), then the ‘Tahs can easily string together a series of wins that might begin to have us believing again. However, until that time it’s hard to suggest this isn’t just a typical Dr Jekyll (or is it a Mr Hyde) game.